Pontrieux is a small town north of Guingamp and slightly inland from the coast of northern Brittany. 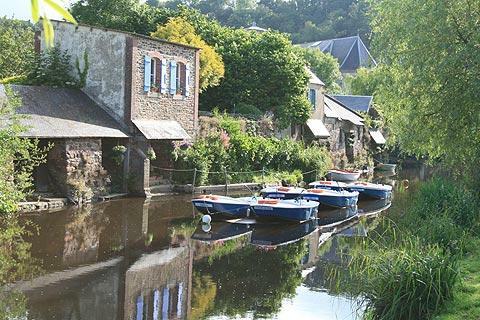 In an attractive setting, Pontrieux has an inland port which has contributed to its history as a prosperous and thriving town, although the linen and other industries once important here have now largely given way to tourism. 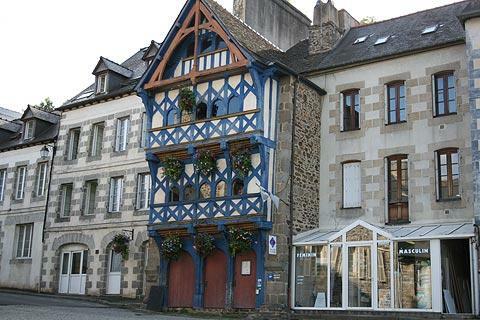 The town of Pontrieux is attractive with the historic centre largely centred around two squares. One of these squares, the Place Mme Le Trocquer, has a 15th century medieval wood and timber building called the Maison de la Tour: this is known locally as the Eiffel Tower and is home to the Pontrieux Tourist Office so is a good place to start your visit. The timber is painted bright blue you can’t miss it! 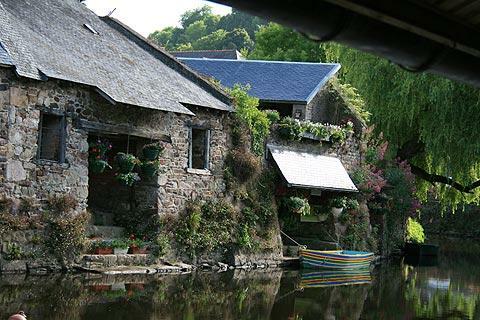 Pontrieux stretches along the banks of the River Trieux and owed its prosperity from medieval times onwards to its position at the head of the estuary. 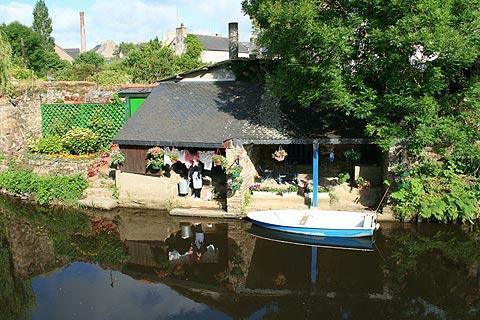 The success of the port led to the building of many fine bourgeois houses here, each bourgeois house has its own lavoir - a special wash area on the edge of the river where the maid could do the family’s washing without having to go to a communal washhouse. There are 50 of these private lavoirs along the river, each of which has been restored and beautifully planted up with attractive flower displays. In between the houses and lavoirs the river banks are a mass of hydrangeas and gunneras making the river banks very attractive indeed. Pontrieux has been awarded 4 flowers in the ‘Ville Fleurie’ competition - the top award. The best way to see the lavoirs is on a boat trip but if that is not possible you can take a walk along Rue St Yves and you see a nice selection. Cross the river on the St Yves bridge. On the 15th August each year a very popular 'fete des lavoirs' is held. Other highlights and interesting sites in Pontrieux include the Richel watermill (Moulin de Richel) and the grand 'Hotel de Keruzec', dating from the 17th century. Be sure to also take a stroll around the historic port area. If possible we suggest you also visit Pontrieux in the evening, when a boat trip along the river is an ideal way to see the town - many of the lavoirs, bridges etc are carefully lit with coloured light, giving a completely different perspective - albeit one that the original domestic staff who spent hours cleaning linen in the lavoirs might not recognise! 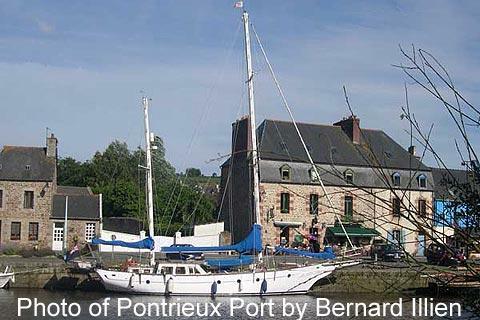 From the marina in Pontrieux it is possible to sail along the river to Ile-de-Brehat as well as Jersey and Guernsey. Among the many places and towns of interest in the region we suggest in particular that you visit Beauport Abbey at Paimpol, about 15 kilometres to the north-east of Pontrieux and one of just 30 sites in France that are officially listed as 'Grand Sites of France'.